Some LE agencies, such as NYPD and Las Vegas Metro, no longer issue handguns at all and require their officers to buy their own. Most departments issue a service pistol, sometimes authorizing privately owned/department-approved duty handguns. Some, Michigan State Police and Georgia State Patrol for example, issue a full-size duty weapon and a smaller version for backup and off-duty wear. One small municipal police department now issues three handguns to each sworn officer, and therein lies some food for thought and strategy. The Grantham, NH Police Department is currently celebrating its one 100th anniversary of existence. Each patrol car is equipped with a Ruger AR15 .223 carbine and a short-barreled Scattergun Technologies Remington 870 12-gauge shotgun. The standard issue duty pistol since 2015 has been the S&W M&P in .45 ACP, mounting a TLR-1 light and carried in a Safariland security holster. Since 2002, all officers have also been issued a snub-nosed, DAO Ruger SP101 .357 revolver to guarantee each has at least one high-quality handgun suitable for off-duty and backup gun use. It’s a testament to the durability of the SP101 that in 15 years of constant carry and qualification shooting, all the little Rugers remain in perfect working order with no repairs required. Nonetheless, today many officers don’t feel comfortable with a 5-shot snub as their primary off-duty gun. While GPD approves a broad array of off-duty guns, the department wanted to make sure each officer had at least one sidearm suitable for this function. Precision’s “Court Holster” has 1.75″ belt loops, works with both garrison belts and dress belts. The issue Shield .45 in the issue Precision Holster scabbard designed for both open and concealed carry. The firearm chosen was the S&W Shield in .45 ACP. It shares the same manual of arms as the duty sidearm, and the same ammunition. Testing by the department showed a high degree of accuracy, reliability and “shootability,” combined with ease of concealment and comfort. With sturdy 1.75″ loops to fit the garrison belt of an administrative uniform, and underbelt, or a well-designed off-duty belt, Grantham’s officers have found the holster comfortable and practical. A dual handcuff/single spare magazine carrier completes the gear. Precision Holster calls this custom-designed rig, now available for order, their Court Holster. The term comes from “Court Gun,” a colloquialism among cops in NH, where a police prosecutor system often has officers without law degrees prosecuting misdemeanors and violations themselves. A low-profile pistol and holster on a garrison belt is more comfortable for long periods on the witness stand or at the prosecution table. It’s also seen as less intimidating, while still providing an adequate degree of courtroom security. 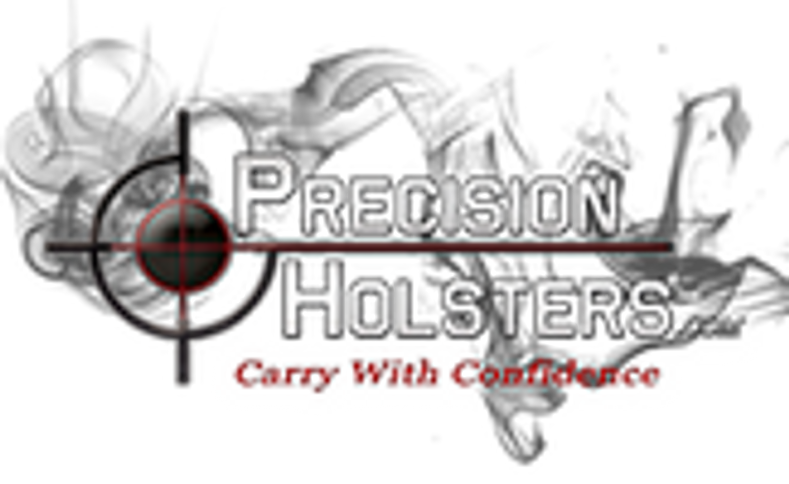 For more info: www.americanhandgunner.com/index; Precision Holsters: (800) 575-9374. Mike Seeklander "American Warrior Society"